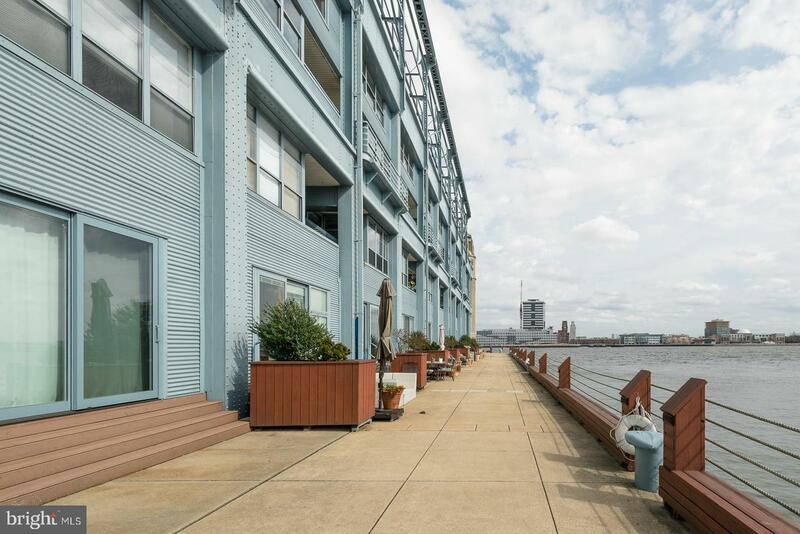 Welcome to Pier 3 on the waterfront at Penn's Landing. 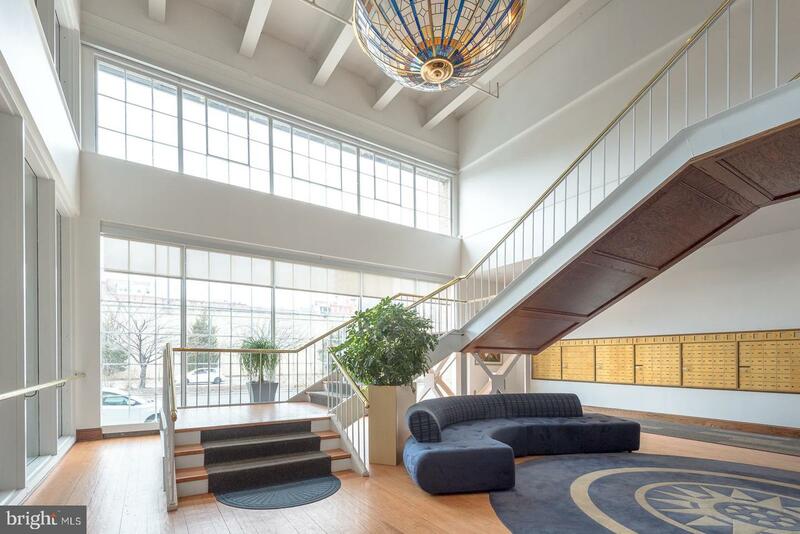 This unique building offers secure garage parking, 24-hour concierge, a huge atrium which displays many mature, topiary plant life and outdoor seating / patio space for relaxing, a heated indoor pool with enormous windows overlooking the Delaware River, a newly updated fitness center, large lobby and mezzanine, where the building hosts various holiday and community social events, and more! 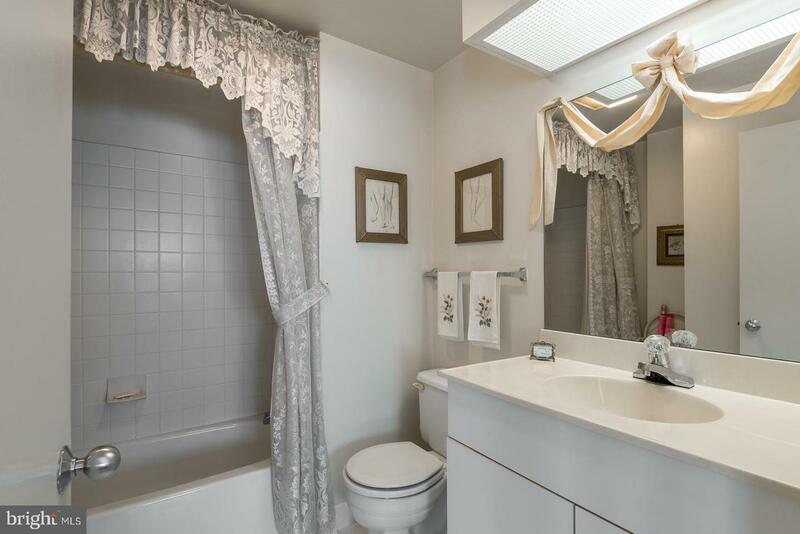 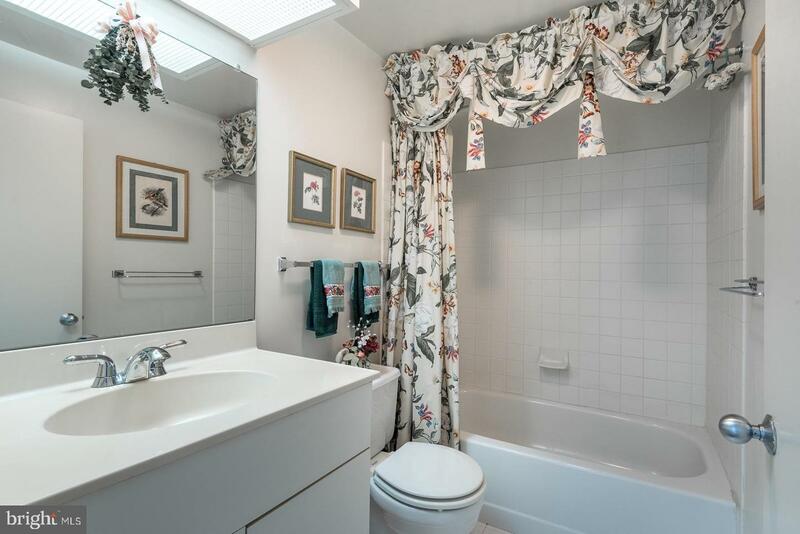 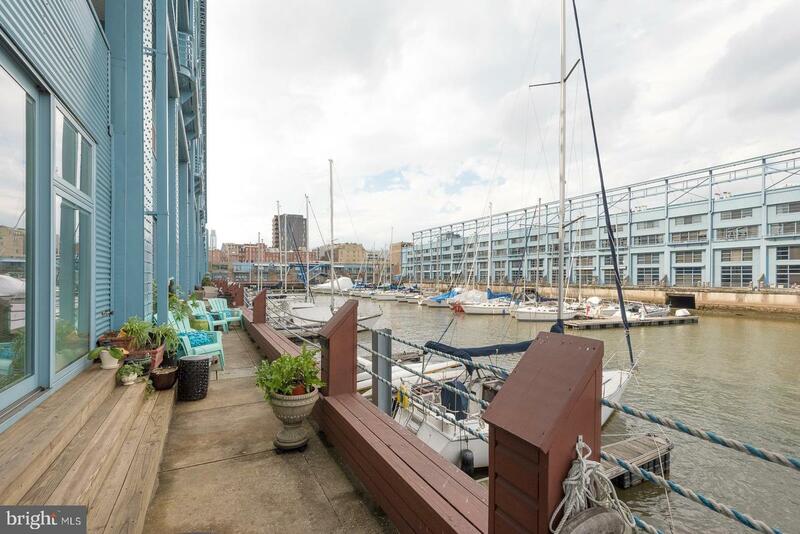 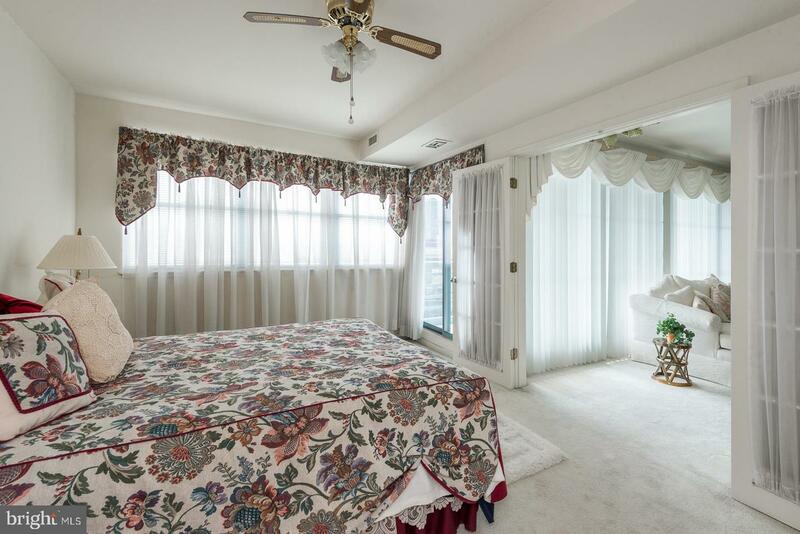 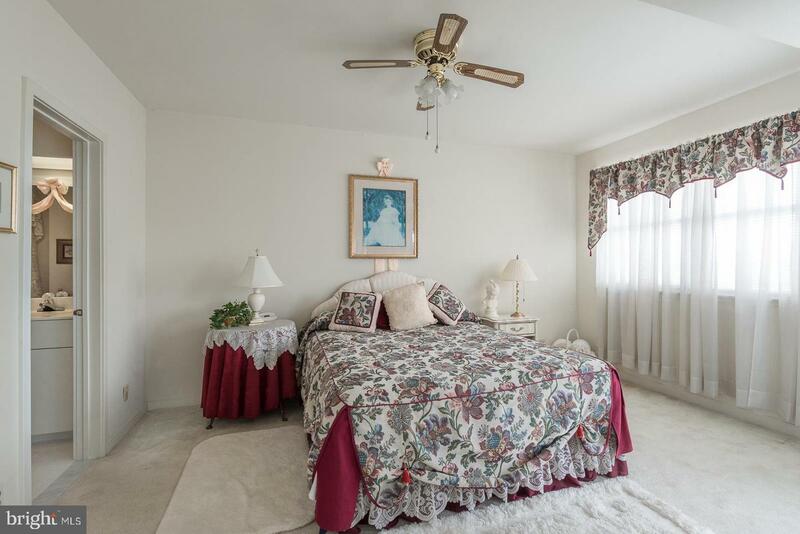 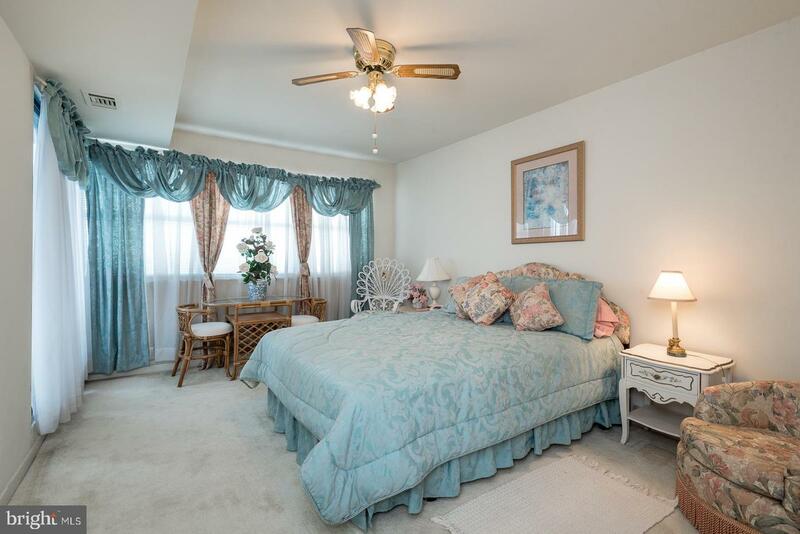 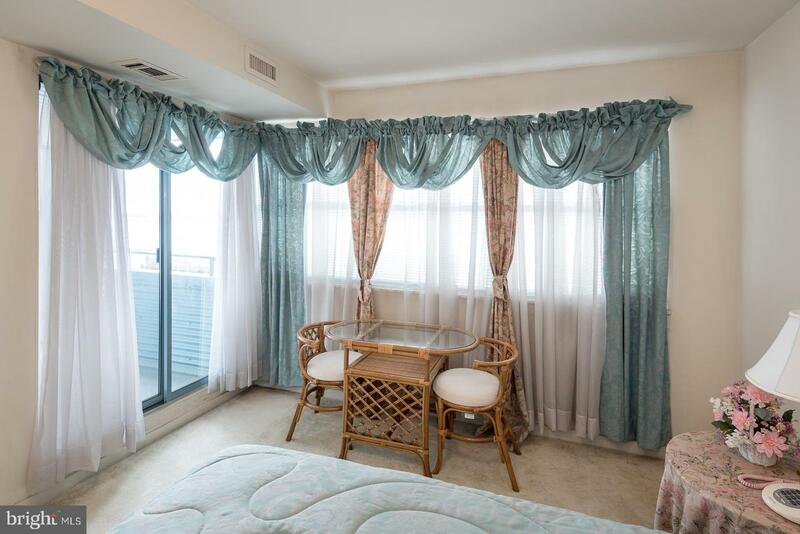 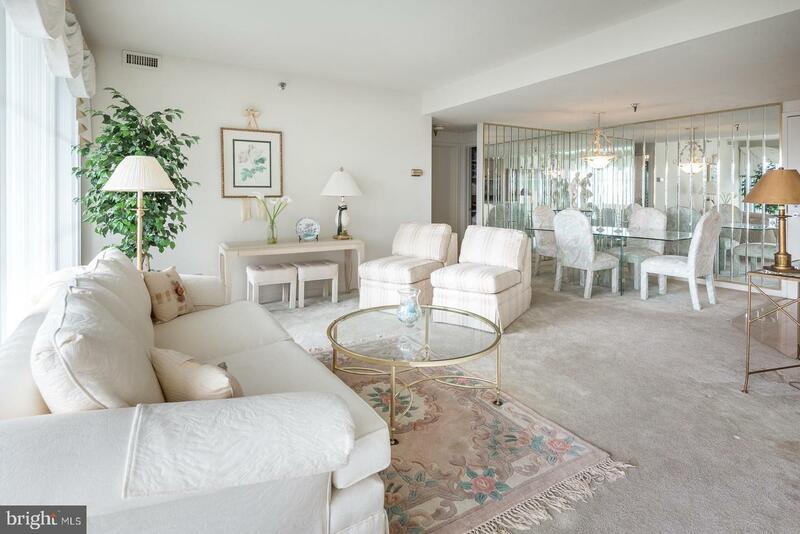 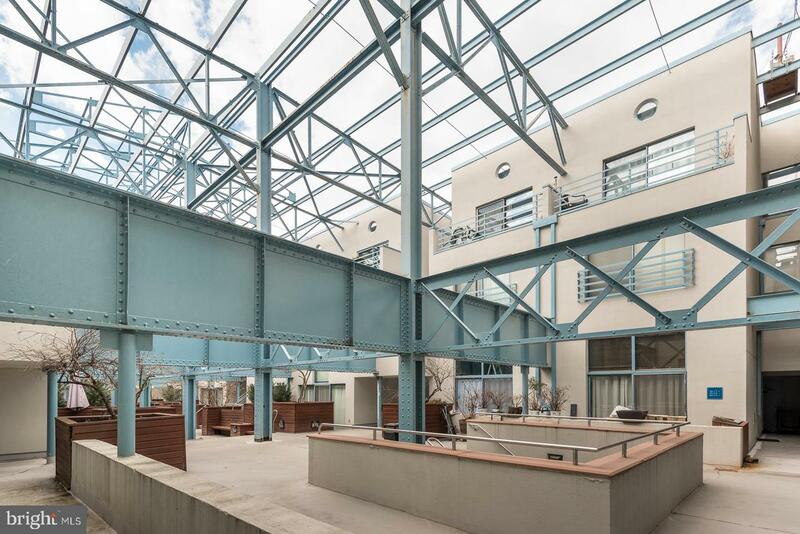 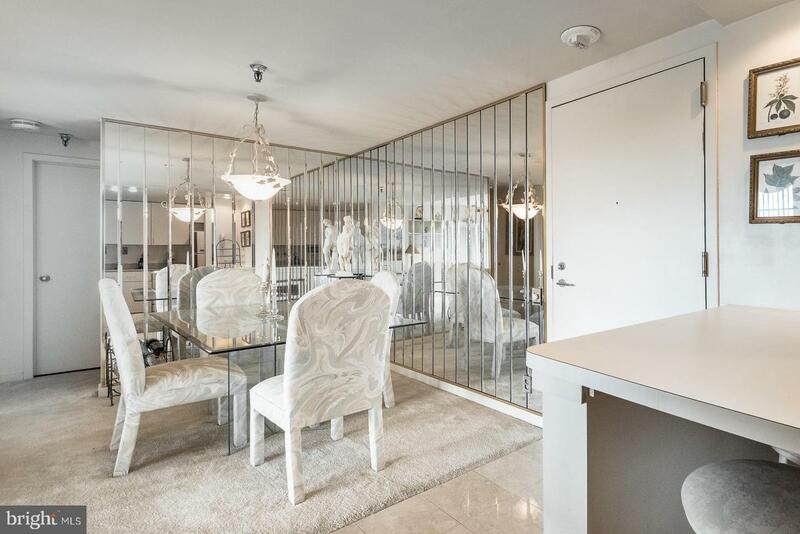 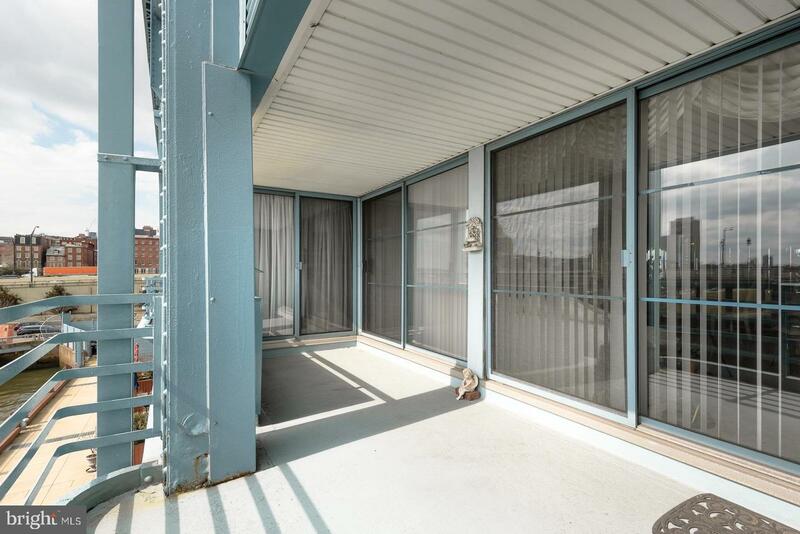 This well maintained 2 bedroom, 2 bath condo overlooks the river from the 3rd floor. 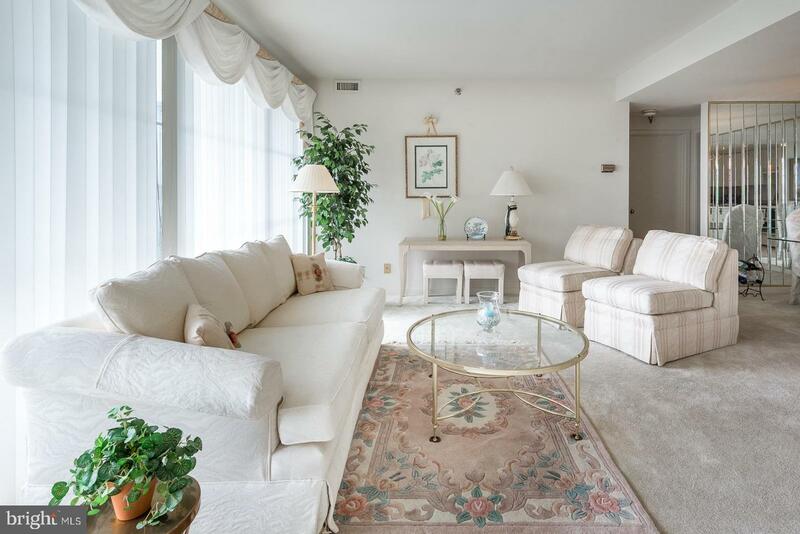 Take the elevator up (direct from the secure parking garage), directly to your unit. 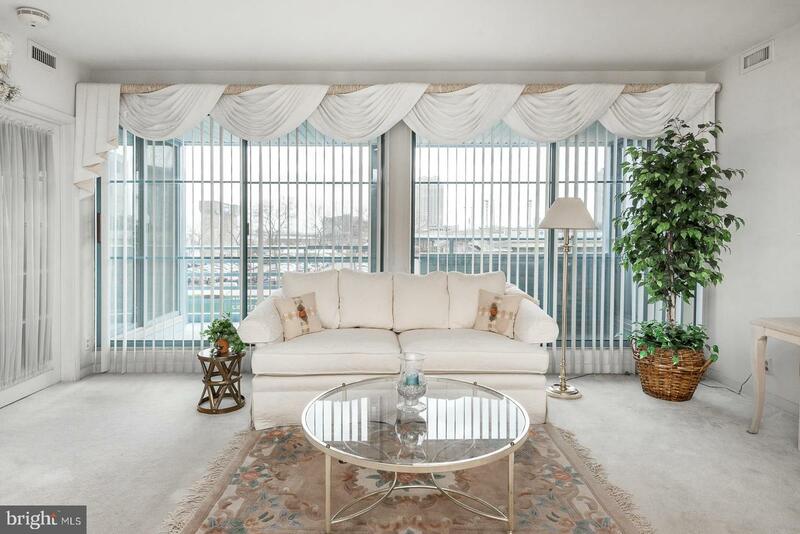 The open layout welcomes you with natural sunlight and an airy feel, with floor-to-ceiling sliding glass doors and windows that overlook the river. 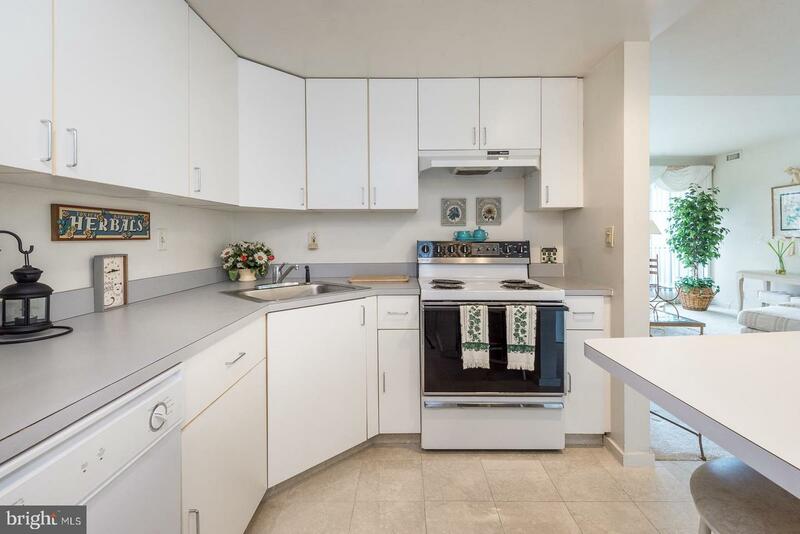 The main living area consists of open kitchen space with white cabinets, prestine appliances that have barely ever been used, and breakfast bar. 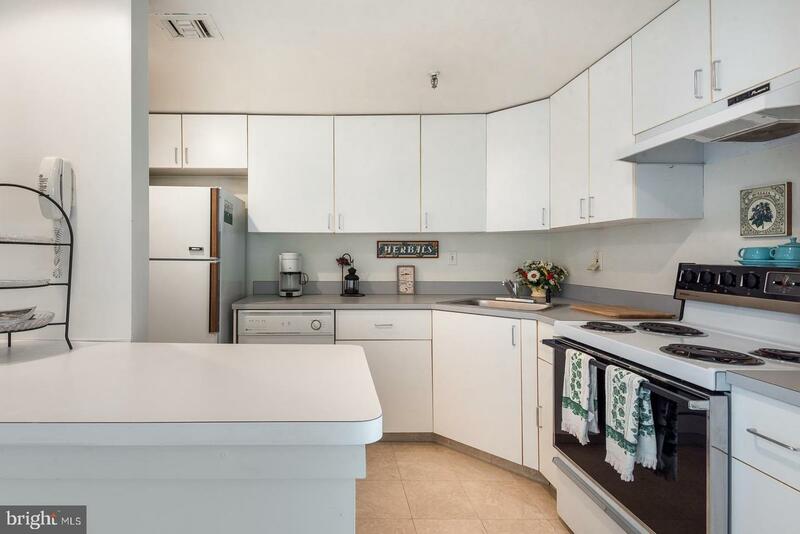 The kitchen offers plenty of cabinet space and storage including a utility closet. 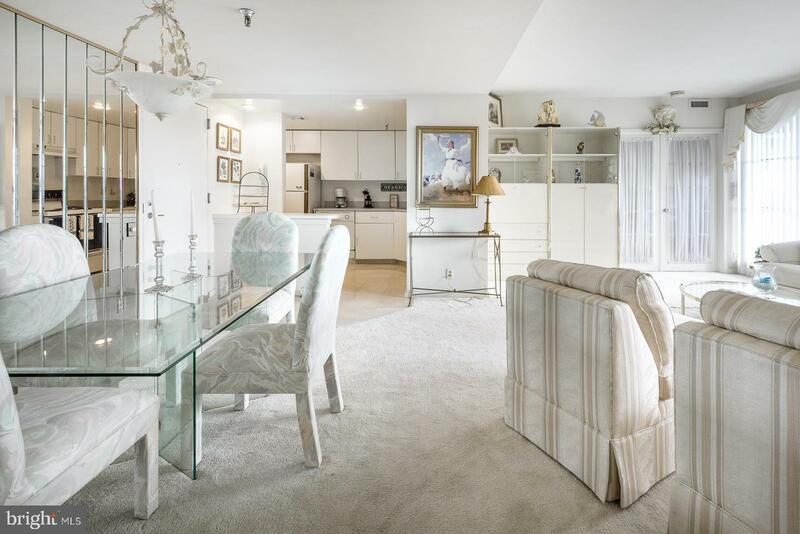 The Kitchen overlooks the dining area and spacious living room has tons of natural sunlight with double-sliding doors to the balcony, bringing the outdoors inside.. 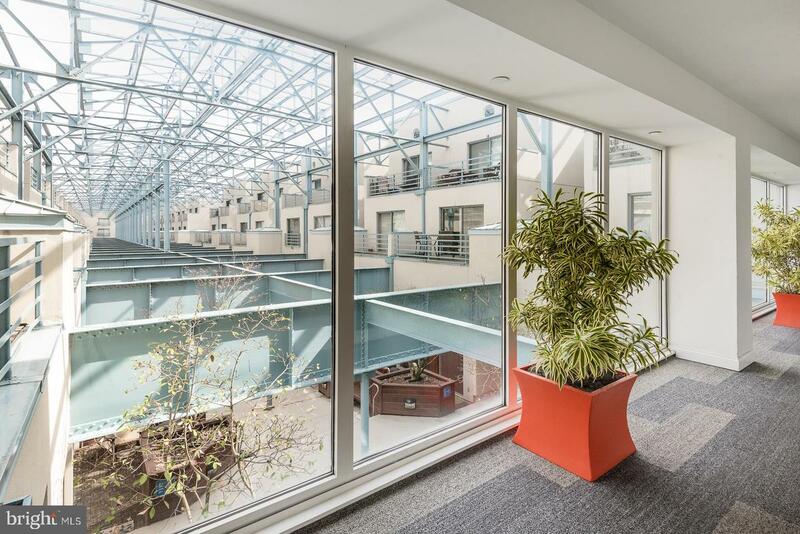 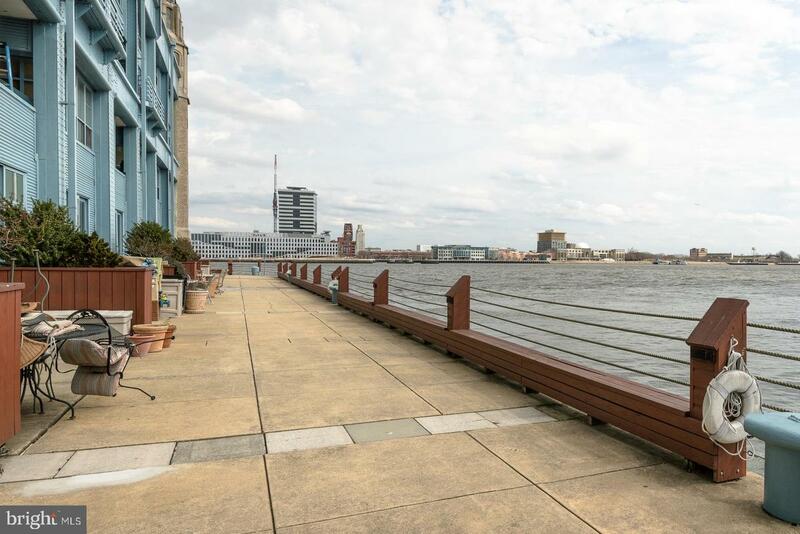 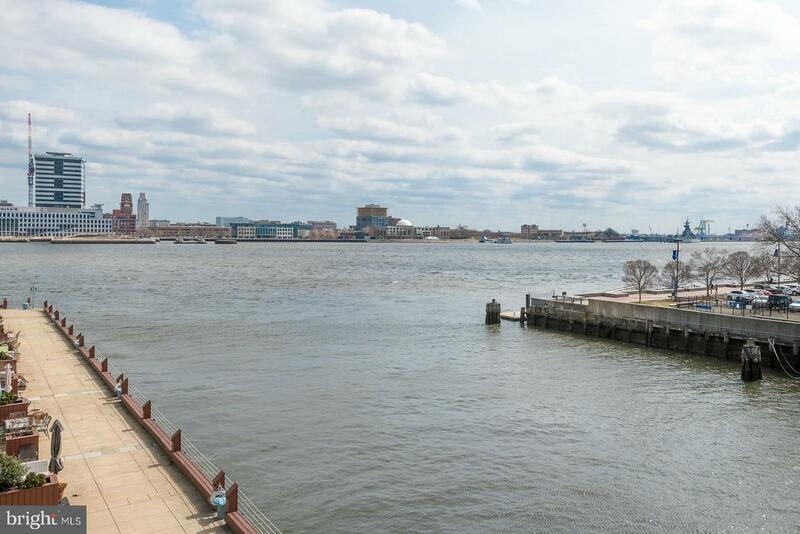 This units boasts two large, sunny bedrooms, both with sliding doors to the balcony that overlooks the Ben Franklin Bridge, two full bathrooms, and spectacular views. 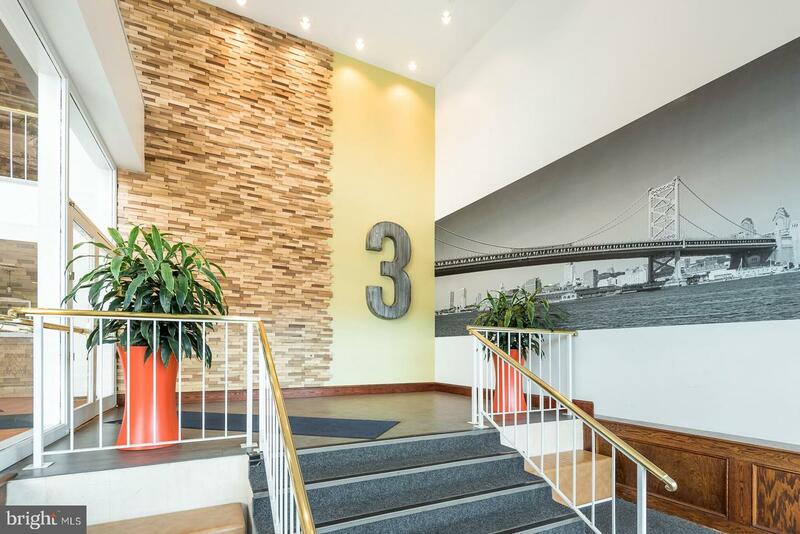 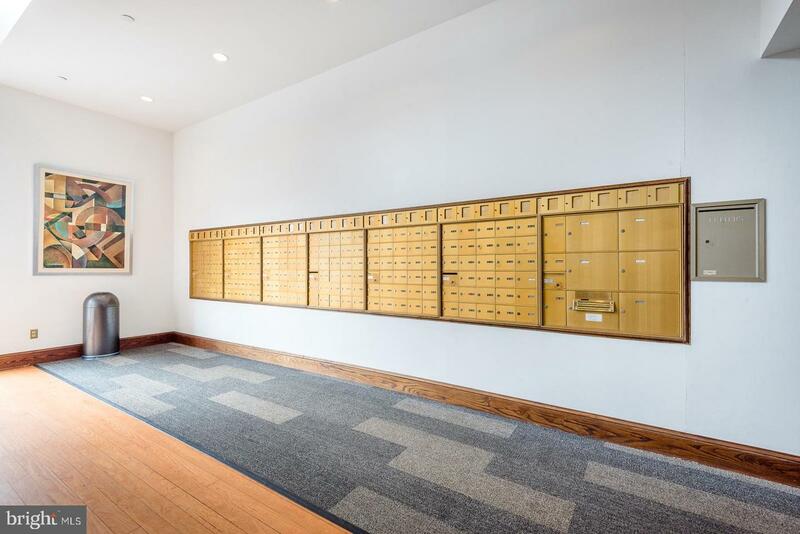 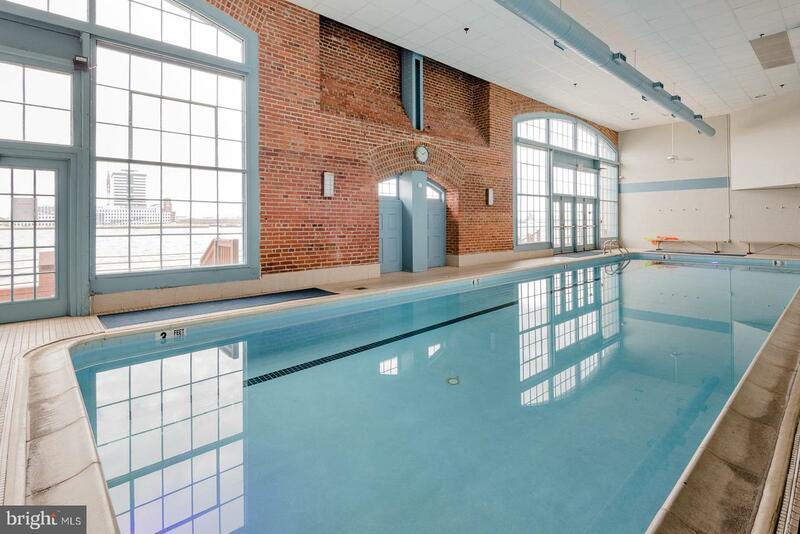 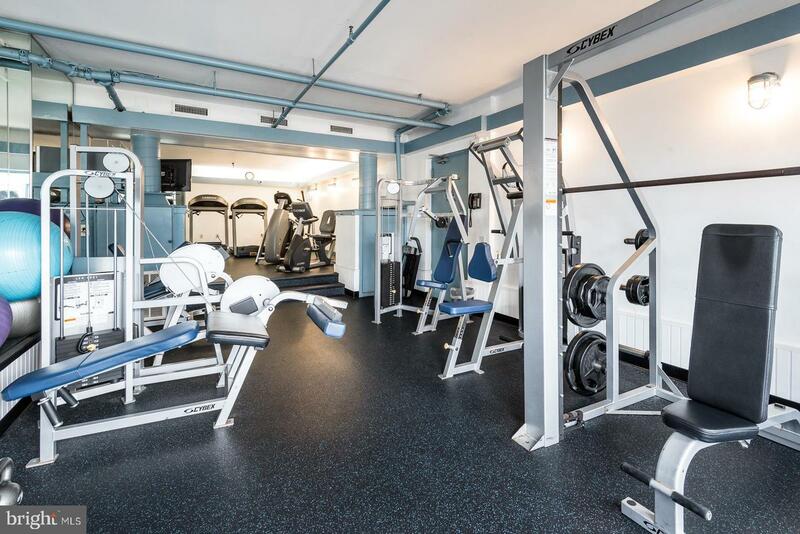 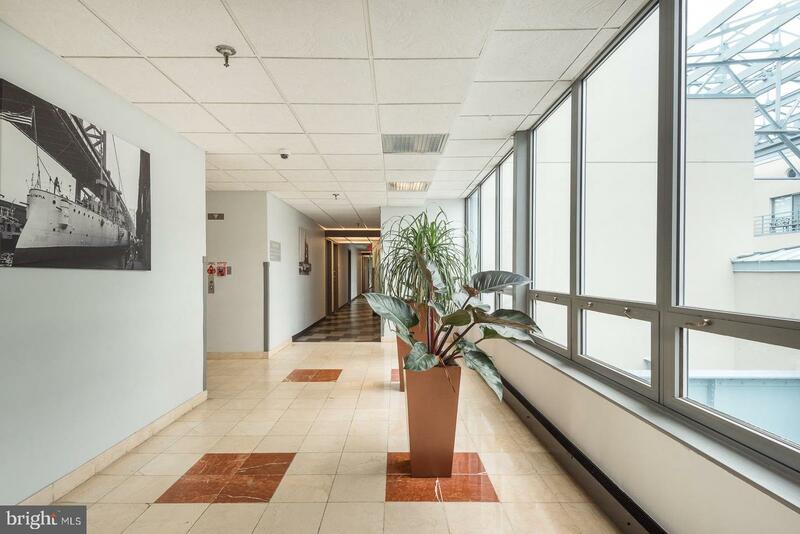 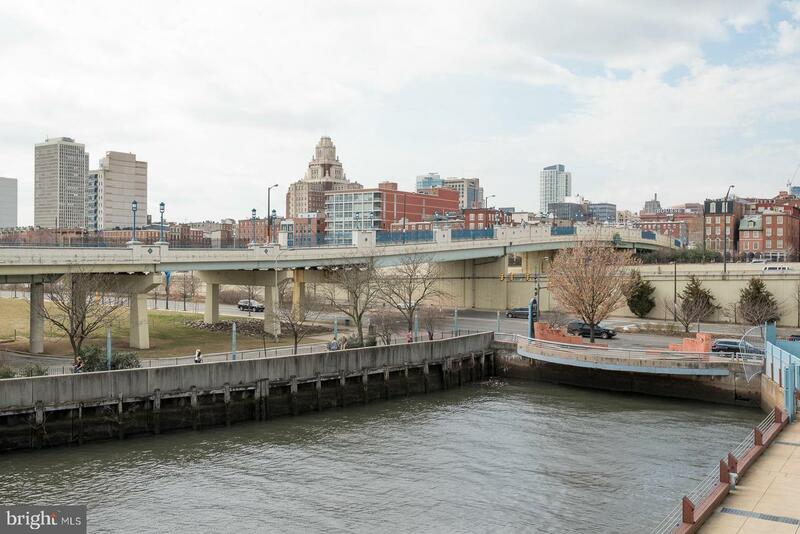 Enjoy all this condo has to offer and is ideally located close to I-95, Regional Rail, Patco, and Old City, with easy access to New Jersey and New York City, meaning the possibilities are positively endless.